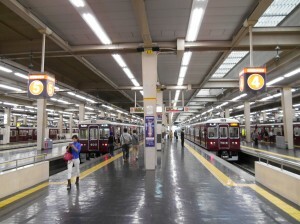 You can go to Minoh Station by using the Hankyu train. 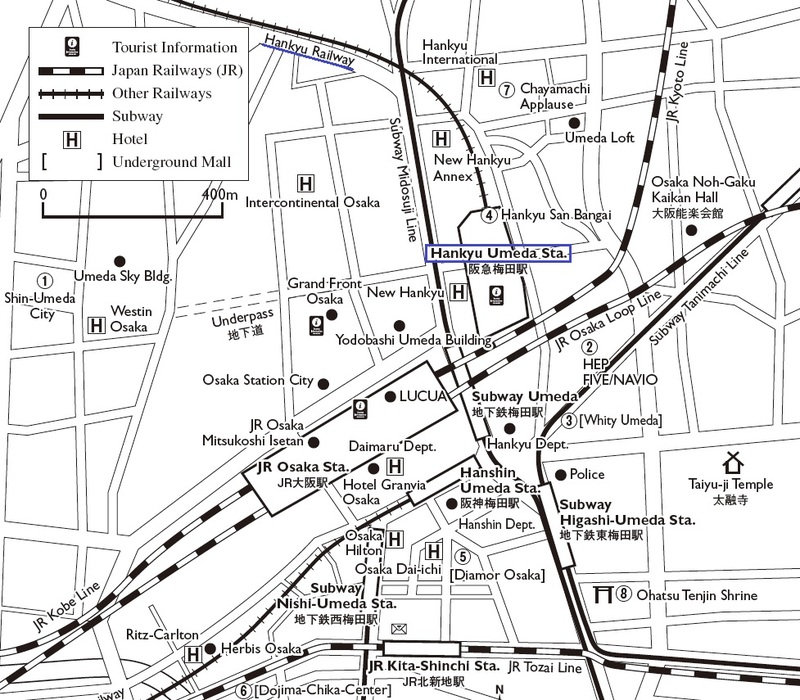 Take the Takarazuka Line from Umeda Station to Ishibashi station (15 minutes) and transfer to the Hankyu Minoh Line to Minoh Station (5 minutes). A one way trip takes about 25 minutes and costs 270 yen. 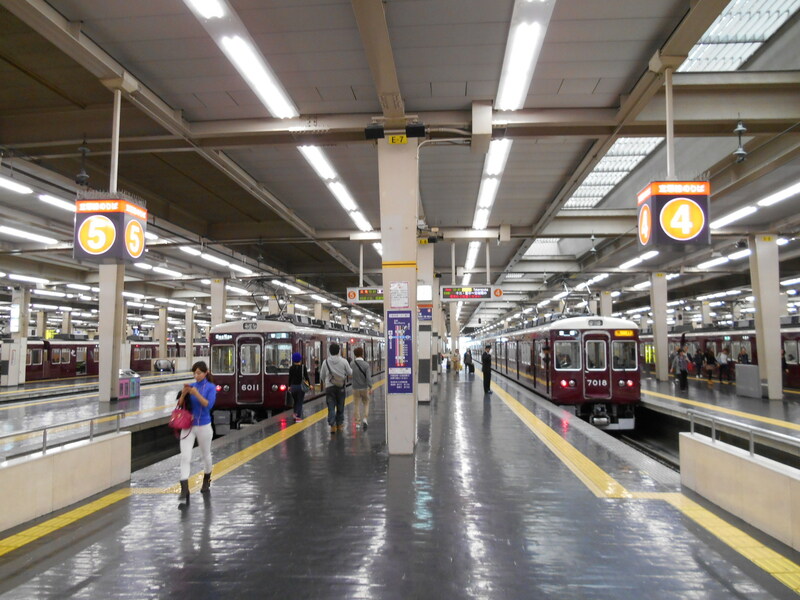 (1) At Hankyu Umeda Station: Use Takarazaka Line (Platform No.4 for the rapid train or go to platform No.5 for local stopping train). 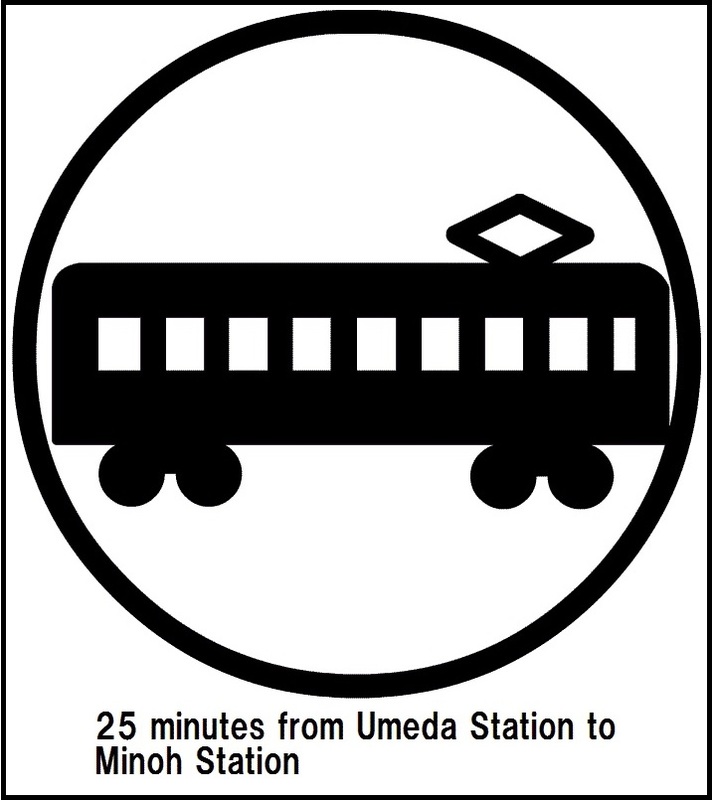 Arrival time diffrence is about 5 to 10 minutes between the rapid train and the local train. 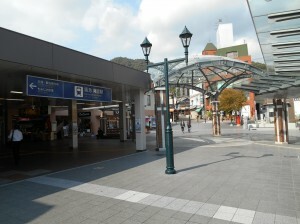 After you exit Minoh Station (one exit), go straight to the north. 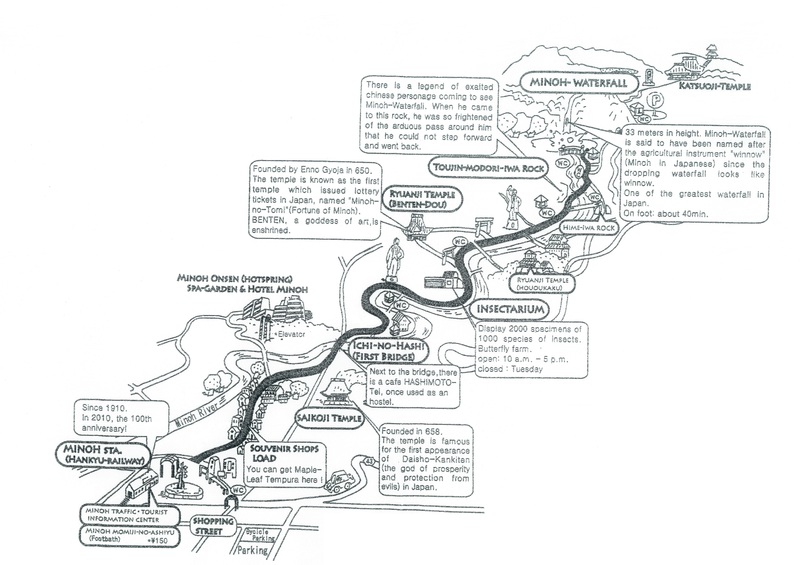 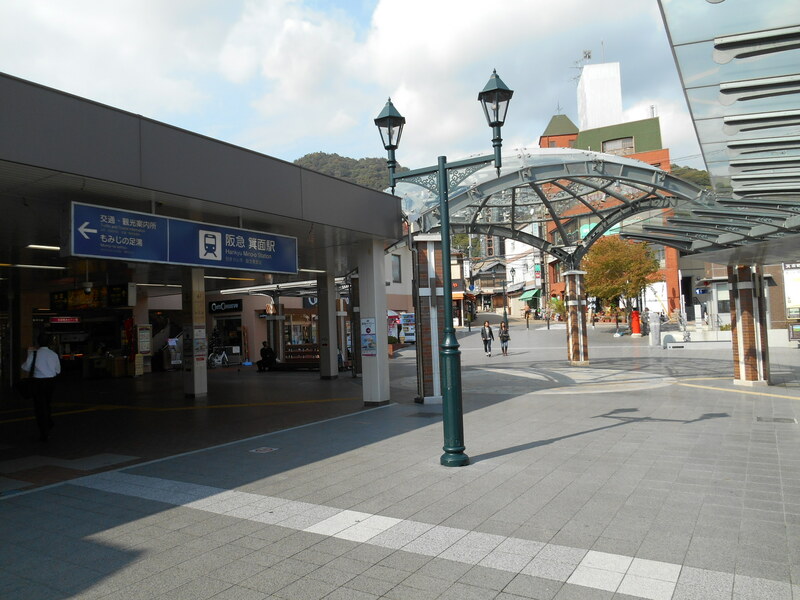 You will see Minoh River in 5 minutes as you pass by some souvenir shops. 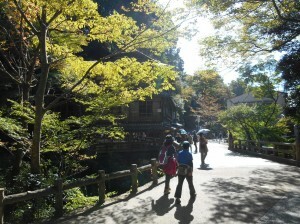 Then walk along the Minoh River to the waterfall for about 40 minutes. 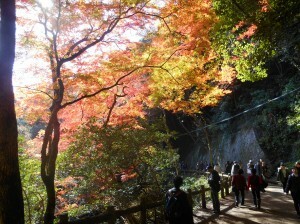 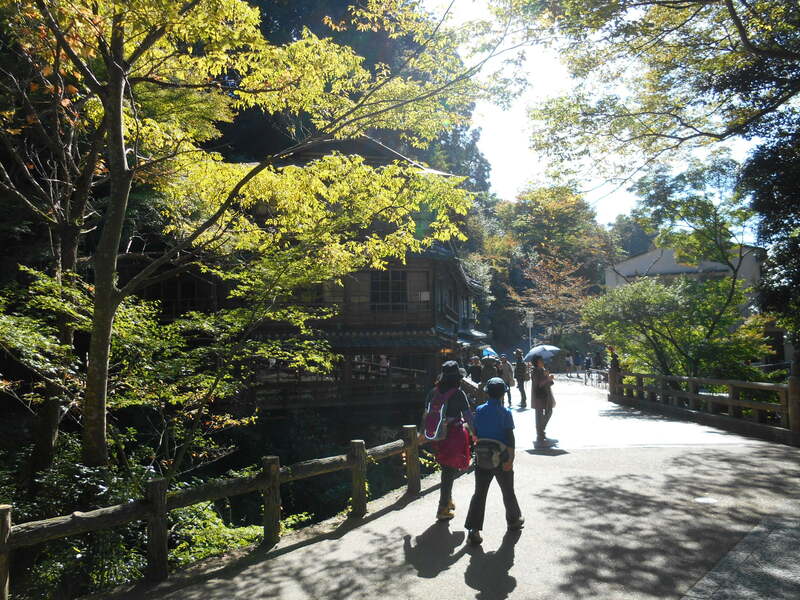 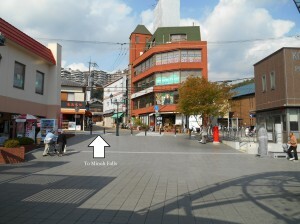 ※You can walk to the fall in 20 minutes from this parking lot. 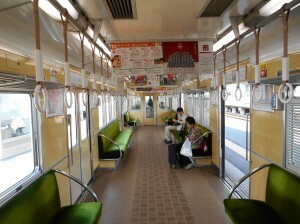 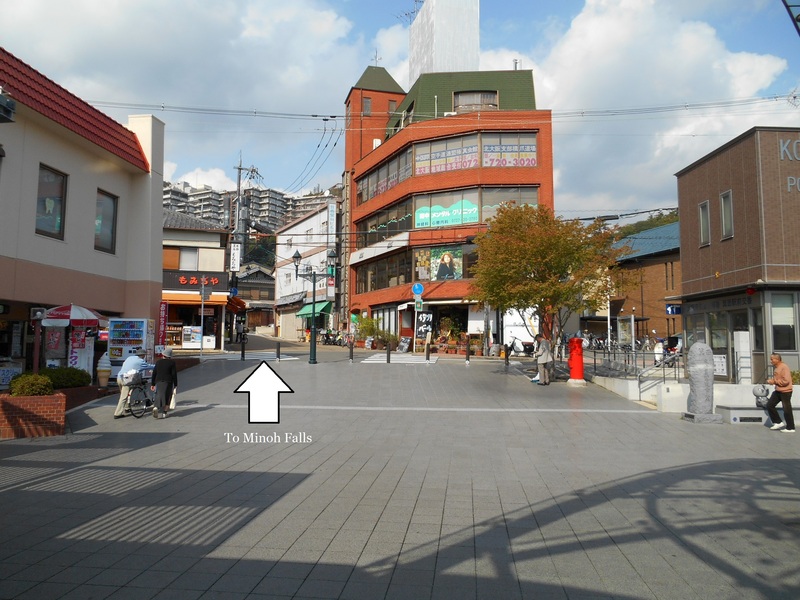 However if you want to enjoy attractions on the way from Minoh Sation it’s recommended to park near Minoh Station.